Bending strings is a huge part of country guitar soloing, and is a sound you’ll hear used to great effect by almost all legendary players. One of the most common uses for bending strings is the imitation of pedal steel guitar, a major influence on the sound of country guitar. This wonderfully expressive instrument in played using a slide (known as a tone bar) and a series of foot and knee levers to change the pitch of strings. Here’s a great video of Gary Carter playing some solo steel guitar, give it a watch and pay attention to the way he bends notes up and down constantly. Imitation of pedal steel is a complicated task as the instrument is so complicated; but the thing the steel guitar can do that guitarists can imitate is the bending on one note while notes around it remain static. In order to practice this idea I’ll usually think of the intervals I’m playing and why I’m playing them. So as an example, in the following lick I begin by playing the 2nd and 5th, then bend the 2nd up to the 3rd. So against an A major chord, you’re left playing the 3rd and 5th, or chord tones. Once this bend has been played, I hold the 3rd on the B string and move the note on the high E string down a tone to create some melodic interest before releasing the bend and resolving to the root. From here, I slide down to the b7th on the B string and bend it up to the root, while playing the 3rd on the high E string. As you can tell, ideas like this are all about knowledge of the fretboard and the chord you’re playing over. These concepts can be applied to any string group, or even amounts of notes, but that’s far too deep a subject to cover in a short web article! 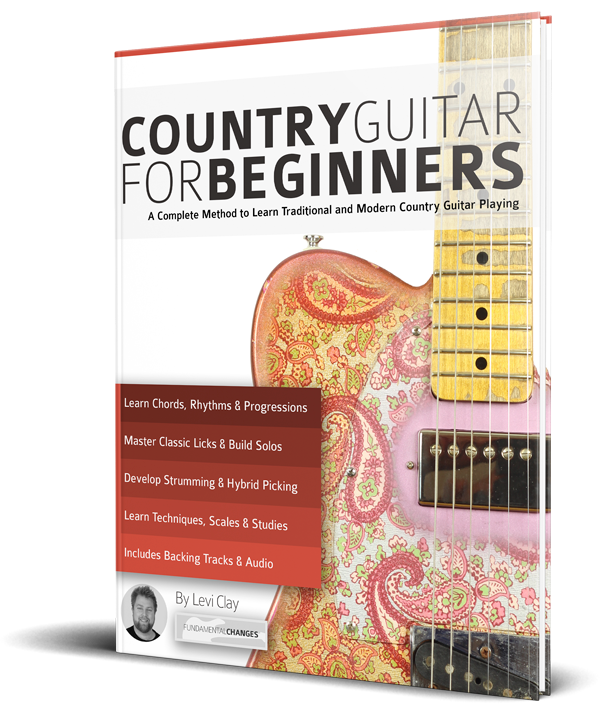 There’s a whole chapter on it in my book, Country Guitar For Beginners, that’s the best place to take these ideas to the next level.